Answering a forum thread: “things that made your childhood awesome”. We didn’t have proper Pong, this was one of the many clones, but we got many, many years out of it. She-Ra was always way cooler than He-Man, any day. 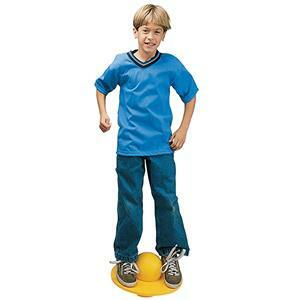 Very, very silly but great fun when you’re a kid. I love how everybody has politely forgotten Spandau Ballet – they’re like “yuppie” in music form. Sure, it’s an absolute abomination, but it was the best thing ever when I was a kid. I bet Michelle Pfeiffer is deeply embarrassed by it now. It’s Saturday / no school today / so what you gonna do / there’s no excuse to stay in bed / we’re waiting here for you … I met Timmy Mallet once when I was about 11. He was unpleasant. Hardly anyone remembers this cult series from 1983, but I was wowed by it’s state-of-the-art special effects. Dallas is coming back to our screens, but Dynasty was even sillier. The shoulder pads! The awful acting! The diabolical storylines! It was worth watching for every scenery-chewing moment from Joan Collins, and every dignified sigh from poor, put-upon Krystle Carrington. 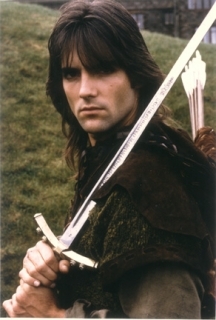 Ah, I had such a Kindergarten Crush on Michael Praed, who also played Prince Michael in Dynasty. The show was praised for its “gritty” setting and “historical” basis, though I mostly think it was popular because of Michael’s too-clean 80s hair. I’ll also throw in a bonus hair metal track – I never bought those things, but they were so ubiquitous that I couldn’t imagine the 80s without that soundtrack. Post script: man, how could I forget lolo balls?